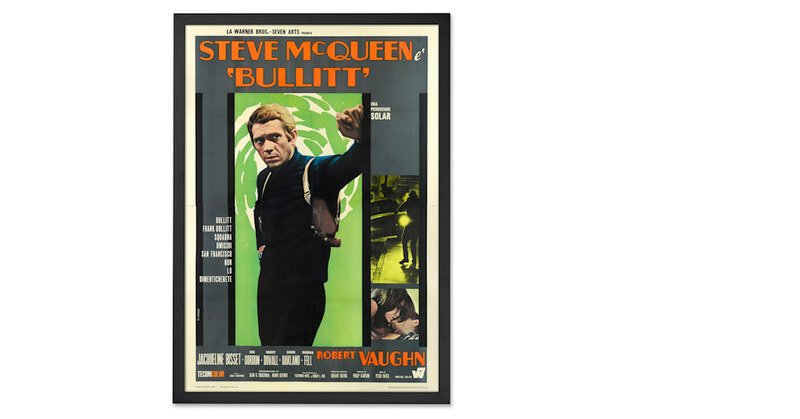 Adorn your wall with a print of the iconic artwork for the 1968 film, Bullitt staring Steve McQueen. If this movie is one of your favourites, then you need this print, now. It’s the work of Tom Chantrell, one of the most famous 20th century British cinema poster artists. Perfect for film buffs, it adds a retro touch. This print is presented in a timber frame, made in the UK with a smooth matt finish and lightweight plexiglass. Create an eclectic gallery-style wall by mixing prints.